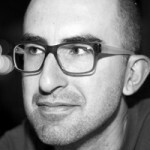 We are happy to introduce you Enrico Zimuel, a senior PHP Engineer at Zend Technologies, member of the Zend Framework core team and founder of the PHP user group Torino. He will give a session at phpDay called “A quick start on Zend Framework 2“ Saturday 19th May at 11:00 pm on track 1. - Are the features of the framework compliant to the requirements of the project? - The framework is supported by a community? How much is big that community? - The framework is well documented? Is easy to find information on the framework? - In case you have to develop a business project, there is a commerical support of the framework? I use the functional programming every day, mostly for scripting scope. Of course, if I have to develop a big project I prefer OOP. The architectural advantages of OOP are too big compared with functional programming. I have to say Sheldon but I feel more Leonard, to be honest. My programming heroes are all the people that every day contribute to improve the open source softwares. This community is my programming hero. I would like to see less features and more consistency. I think this is a good time for the PHP project to consolidate the features released so far. What’s the average beer per hour factor during conferences and a normal hangout? I like beer and I think conferences are a social happening to share a couple of beers. I think traits are very useful structures and we have some valid use cases in the Zend Framework project where to use it (but we cannot use it because the PHP 5.3 requirement). I’m sure we will see more and more examples on how to use it in the future, now they are mostly unexplored in the PHP community. I like the power of PHP and, at the same time, I don’t like the power of PHP. If you know what you are doing the PHP is a very good tool for web developers. If you don’t know how PHP works you can do very big mistakes. Of course, I follow the Zend Framework project and sometimes I look to some other competitors :) I follow many others open source projects, mostly not PHP related like OpenSSL, GnuPG, Ubuntu, etc. No, but sometimes I was very close. I would like to suggest the book of Frederick P. Brooks “The Design of Design: Essays from a Computer Scientist” (Addison-Wesley Professional, 2010), it’s a really interesting reading about the process of design, from the prospective of a famous computer scientist. You can find Enrico on twitter (@ezimuel) and on his blog.